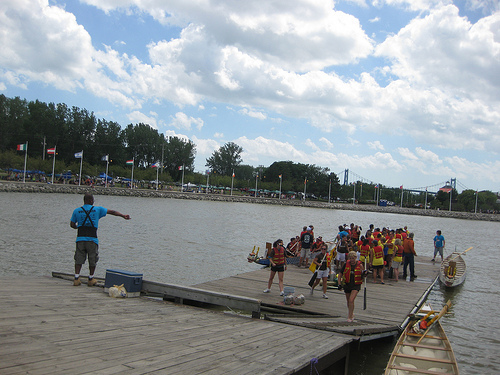 The Dragon Boat Festival was in it’s 9th year… yet this was my first attendance. 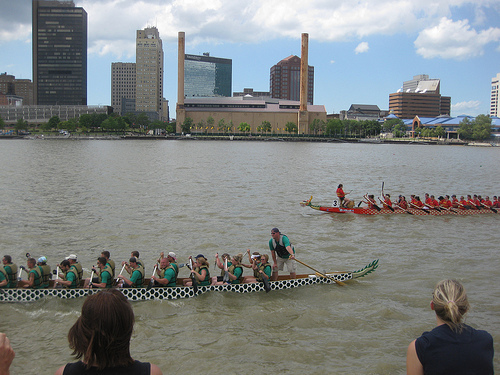 The race was not only well attended by the public (as in the riverfront was PACKED) but it was also full of participants with 42 teams, and each team had 25 members. Do the math. It was exciting to watch these boats moving swiftly over the water. The boats were lovely and you could feel the energy of of each team working hard to win. I applaud each and every “dragon boater” for the money they raised for a great cause. *High five*!